Fishermen have been using live bait since long before artificial bait was even an option. Live bait is alluring because of its lifelike texture, odor and color, according to the experts at FishingLicense.org. 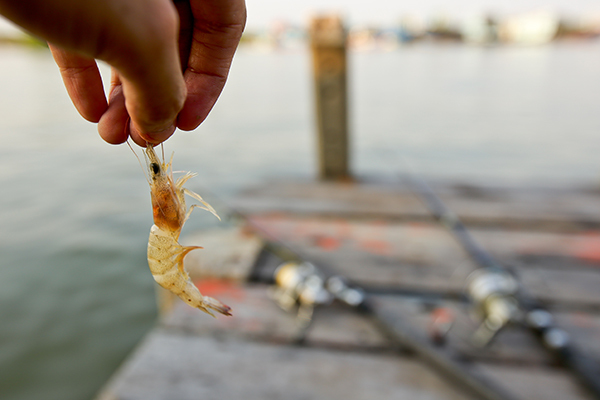 The most common natural baits used include croaker, shrimp, worms and leeches. Nevertheless, using live bait requires fishermen to understand how to keep the bait alive. Discover the best ways to keep your bait alive by reading the sections below. Proper aeration is essential in order to keep live bait in the healthiest condition. Natural bait that is kept in an aerator bowl is provided with the oxygen necessary to live and break down the excess nutrients of aerobic bacteria. According to the team of experts at FishingLicense.org, the two most important aspects of an aeration system for live bait are the gentleness and direction of the water flow and the amount of air bubbles it produces. Water flow direction;Certain types of live bait will not survive if the water flow is not consistent or gentle enough. Fishermen who use shad, greenbacks or white bait must ensure that their aeration is gentle so that these types of live bait can easily swim alongside the current of the water flow. Air bubblesThe size and the amount of air bubbles that an aerator produces are key factors for ensuring the health of your bait. The team at FishingLicense.org has found that the smaller the bubbles are, the longer it will take for the bait to dissolve. If bubbles remain in the water housing your live bait for longer periods of time, this is an easy way of telling that the aeration system is working properly. The most commonly used aerators are spray bar, air stone and venturi. The group at FishingLicense.org recommends choosing an aerator based on the type of bait you will be working with. For example, if you have hardy bait such as striped killifish or mummichogs, you might benefit from having a spray bar aerator that adds oxygen to the water by jetting streams of water that may be too harsh for other fish. Smaller groups of bait can easily survive in an air stone aerator which is quiet and provides gentle aeration. Venturi aerators can be used as floating aerators or bottom aerators with suction cups. These aerators provide fast-moving water that produces smaller air bubbles than any other kind of aeration system. The livewell you choose for your bait is also an important factor in keeping your bait alive. Although there are many different kinds of livewells to choose from, the experts at FishingLicense.org recommend purchasing an oval or round one for your bait. Oval and round livewells provide the best circulation for your bait to survive on. Rectangular or square wells are also deemed acceptable. However, they must feature embedded directional discharge to help the circular motion of the aerator.